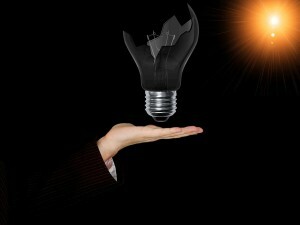 Innovation is as important as ever, especially for traditional industries. While Australia already has world-class sectors and companies, it is necessary for us to encourage the next generation of great companies. In 2015, Australia was labelled a ‘stall out’ country by Harvard Business Review, meaning a country that evolved quickly in the past but has now stalled and is slowly receding. We have fallen behind other nations in areas like data analysis. Creating an education system that can meet the needs of Australian’s for life. Encouraging Australian companies to achieve worldwide best practice in innovative activity. Attracting overseas talent and companies to help fuel innovation. Increasing collaboration between scientists and industry. Choosing excellent projects that can bring about innovation outcomes beyond 2030. Improving government services to get social and economic benefits. If we can address these issues, Australia will be well prepared for adapting to change in the future. The ISA’s 2030 Strategic Plan aims to develop recommendations for addressing the six challenges. It will be delivered to government later this year. One recommendation for improvement includes teaching digital literacy from a young age. In addition, universities must keep up with technological change and refine their courses to prepare students for the future workforce. Companies also need to look at their systems and procedures and ask if there are any that contribute to innovation, such as those requiring creative thinking to solve problems or trying things in a different way. As Australia is geographically distant from innovation hubs like Massachusetts, it would be beneficial to encourage large multinationals to come here so that we can develop new ideas in tandem with these companies. Furthermore, this would help to discourage our researchers and entrepreneurs from leaving Australia for places like Silicon Valley. There is definitely potential for Australia to become a top innovator. Australia is a large country, abundant in natural resources and we can use this to our advantage. Areas where Australia may be under-represented are agricultural technology and renewable energy. Ferris suggested that accepting and learning from failure should become the rule rather than the exception and that innovators and companies should embrace when things don’t quite work out. Rewarding innovation is essential for staying competitive with other progressive countries. Recognising achievements with awards and tax incentives will encourage inventors and companies to stay in Australia. 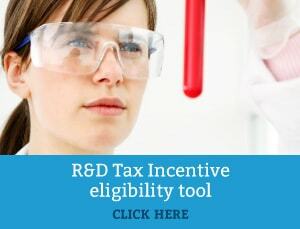 If you are an innovative company carrying out R&D activities, contact Swanson Reed to find out how you can benefit from the R&D Tax Incentive.